Distracted driving has been the number one leading cause of automobile accidents in the United States for several years. Talking on the phone, texting, eating, reading, grooming, and anything else that diverts your attention from your complete attention to driving are just some of the ways drivers get distracted behind the wheel. This trend does not seem to be diminishing. More and more people are allowing themselves to multi-task while operating a motor vehicle. It just takes a few seconds of carelessness and your life, as well as the lives of others, could be changed forever and not for the better. Somehow the disciplines we learned in driver's education have slowly eroded. The seriousness and responsibility of driving seem to be secondary, not the priority. Stop and think about all the things that could distract you while driving. Your phone rings, you feel the need to put on make-up, you need to eat a meal, you feel like reading, you have to text someone now instead of later. Somehow we allow these other duties to become part of our driving experience. Can you imagine if we did this during our driver's education test? or, can you imagine if this was part of your driver's education training? How to eat a meal while driving? Yes, this sounds silly and we all chuckle but this type of behavior is happening every day with many people. Distracted driving is the number one reason for automobile accidents today. This is dangerous and very careless. If this is your habit while driving it is just a matter of time before something terrible happens. There are just too many dynamics while driving that command your attention. Any distraction can cause a catastrophe. You have to stop the distractions that are in your control. You have to decide that no matter how much your phone may ring you will not allow it to interfere with your driving. If you have to answer your phone and it is not hands-free, pull over and take care of the phone. Or just shut it off until you arrive at your destination. You have to prioritize your life. Do not allow everything in your world to pull you away from what is important right now. If you are behind the wheel, driving has to become your number one priority. Do not allow anything to cause you to be distracted. Take your driving serious. It could save your life and the lives of others. Some of these cases are very easy to prove as to who is at fault while others require a lot of investigative work. Eye- witnesses, documentation, reconstructing the situation and more things may have to take place to find the truth. Sometimes it becomes a fight. The injured person usually does not have the mental strength or knowledge to take on this type of fight. That is where we come in. We know there may be a fight to get all the answers to resolve this case. We have been fighting for the injured for over 40 years. We know the employer may put up a fight. We know the insurance company will put up a fight. Some people will resist. We have been there, we know what to do. We know what to ask. We known how to handle this. We also know you will need the top settlement to get you through all this. We represent you and only you. 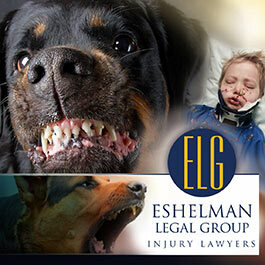 When you come to the Eshelman Legal Group for help, we work for you, not your employer, not their insurance company and not the doctors or hospital. We work strictly for your benefit. Our law firm is well respected by the major insurance companies and the court system. We are focused on cases like yours. Our law firm only handles personal injury cases. We know this area of law thoroughly. 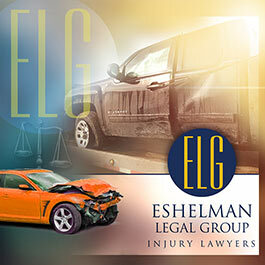 You can contact the Eshelman Legal Group if you have been hurt on the job. Your initial consultation is free. You do not pay anything unless we win your case. Do not hesitate, Ohio has strict time limits as to when you can file a claim for your case. If you wait too long, there is nothing anyone can do to help you. You have to file your case before the statute of limitations for your case expires. 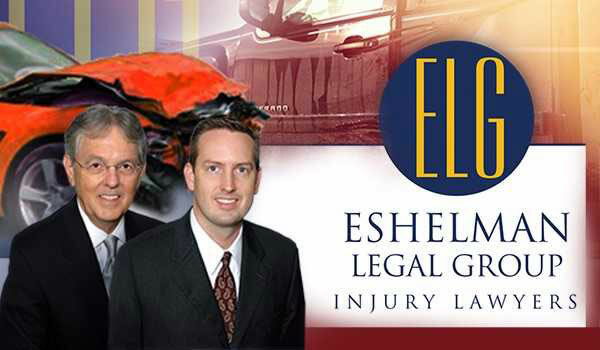 Call today and get peace of mind knowing that you have a top rated personal injury law firm on your side. We will work and fight on your behalf. "We'll Make Things Right".